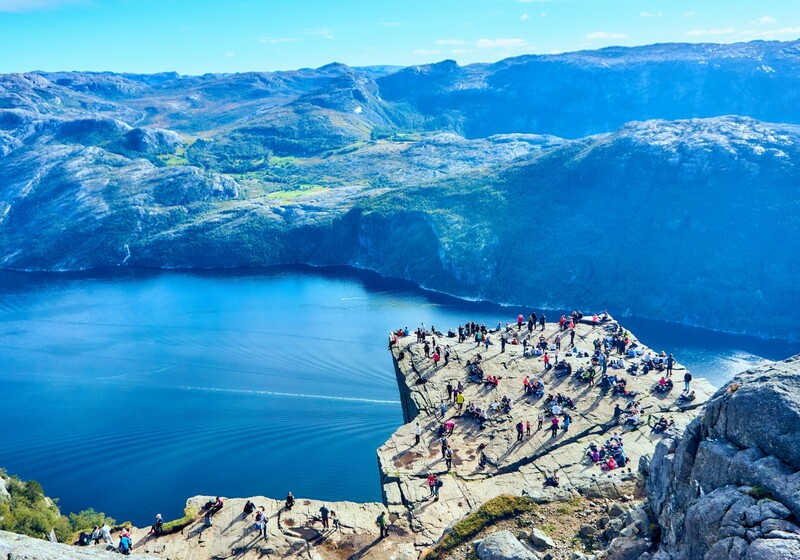 The stunning scenery with deep blue fjords, waterfalls, and snow-capped mountains that tower high above the water is what makes Norway exceptional. Here you can find the longest, narrowest, deepest, and most beautiful fjords in the world. Fjords were formed when glaciers retreated, carving their typical U-shaped valleys, and the sea filled the resulting valley floor. The fjords resemble lakes, but they are prolonged arms of the sea, reaching deep inland with majestic cliffs towering above on both sides. Norway has more than a thousand of such unique natural formations, which haven't changed a great deal since people started living here. UNESCO has included the west Norwegian fjord landscape on its prestigious World Heritage List. 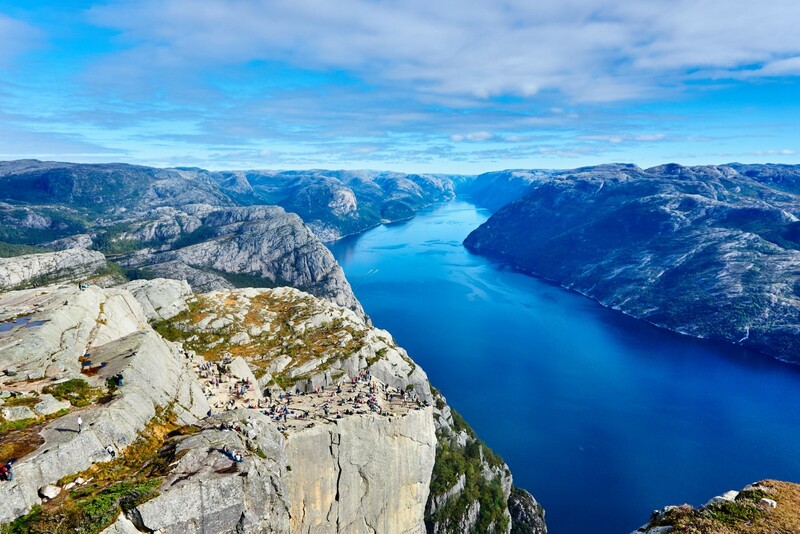 The views are so beautiful that once in a lifetime, everyone should visit the stunning Norwegian Fjords. By each fjord, you’ll find some of Norway’s largest cities as well as small communities and villages, reflecting local traditions and customs. Just a short drive from the urban site and you find yourself in a quiet countryside or prime wilderness. Our most popular Norway tours Splendor of the Fjords and Land of the Fjords will take you to Oslo, Bergen, Balestrand, as well as introduce you to the vast beauty of the Fjords, as you travel across the country. In Oslo, you will visit the world-famous Viking Ships, in Bergen, the popular Fish and Flower Market and the famous Bryggen Harbour with its gabled packhouses, as well as the old Hanseatic Quarter. The highlight, however, of these tours are the magnificent Fjords. You will enjoy the spectacular scenery of cascading waterfalls, breathtaking mountain cliffs, snow-clad peaks, and a variety of wildlife. You will experience all this beauty travelling in modern air-conditioned buses, and the English speaking professional guides will make your trip worry-free. If you want to have the scenery all to yourself, we offer a variety of independent Norway tours including major fjords. For those who prefer to travel by train, we can offer a tour Norway In A Nutshell which will take you on the most spectacular railroad in the world. Whatever way to explore the Norwegian Fjords you will choose we promise that your prize will be unforgettable views and memories for life.